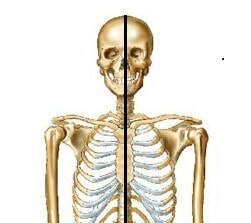 ​Now, when viewed from the front, the body has another balance line, going down the centerline, like this. 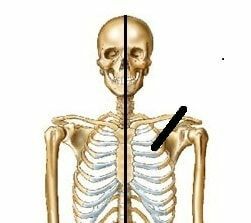 ​ In bringing the instrument to the body, we can see that we could want the contact points to be as close to this centerline as possible, perhaps like this. However, with the clamping mechanisms on most shoulder rests, the rest needs to be placed somewhere out here. ​that could be performed by natural gravitational forces, and impinging on the necessary left shoulder motions . We've seen how our holding equipment can take the instrument away from balance and weight centers, bringing muscular tension into play so that we might keep the instrument in position. 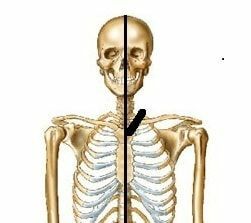 Might there be a way to utilize these balance and weight flows in holding the instrument, working with them instead of against them? Look ahead- read here for more ideas.